Just been surfing the net and came across this site. Some amazing pictures of what one could do with coffee when crossed with art. Coffee Art Let me know what you think…. Check out this youtube video. Why do some many restaurants serve bitter coffee??? After a long morning and a silver service lunch it was time to reflect and relax. So why not order a macchiato, sit back and enjoy the flavours of the strength of the coffee and the smoothness of the steamed milk… mmmmm. Well done on getting it right…. 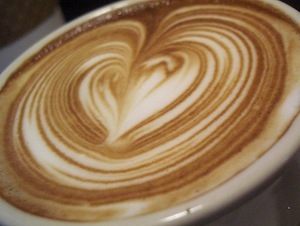 Cappuccino or Latté, what’s your favourite….